Our MARINES T-shirts, sweatshirts, and coffee mugs depict our diverse fighting force at their finest. 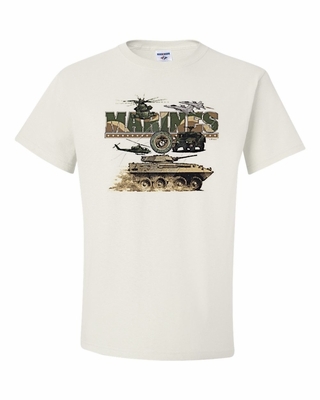 Wear our MARINES shirt with pride! Remember� you found the MARINES Shirts at TShirtHub.com, where high quality came at a low price.